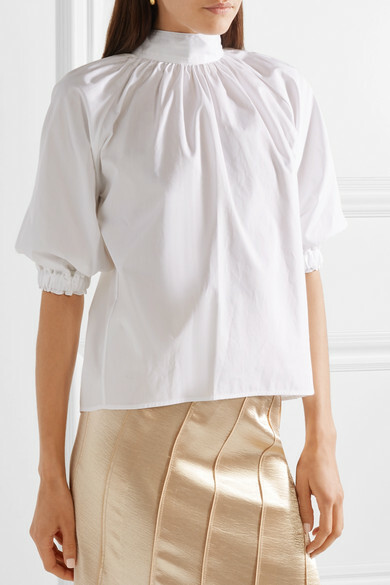 Equally romantic and chic, Rosetta Getty's blouse has a high neckline accentuated by soft pleats, and turns to reveal a tie-fastening back. 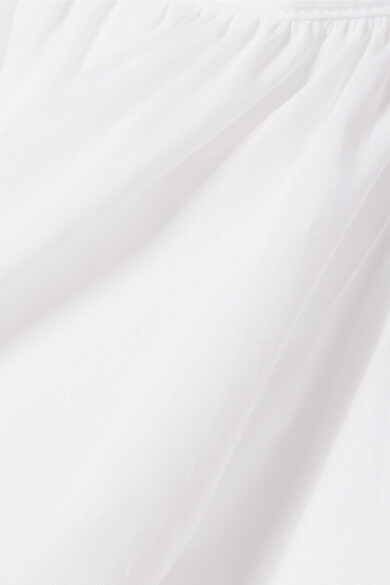 It's made from crisp cotton-poplin and has ruched, elasticated cuffs that create subtle blouson sleeves. 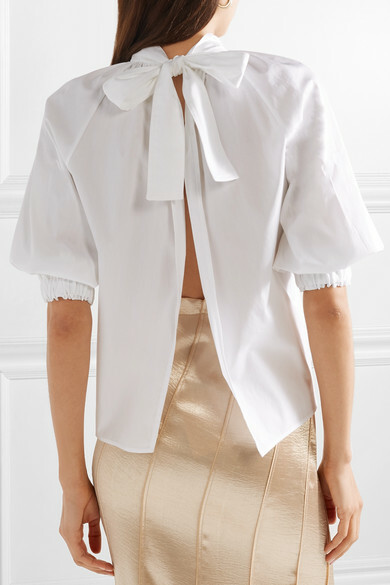 Tuck it into a skirt or tailored pants. 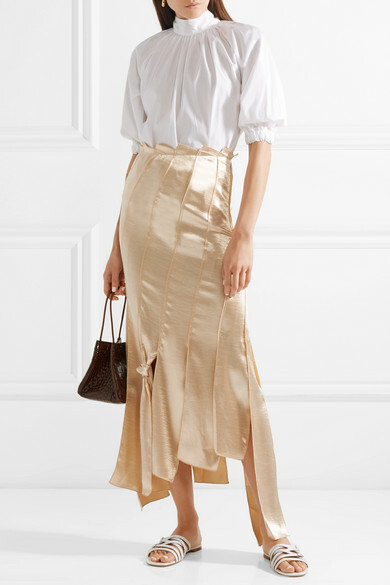 Shown here with: REJINA PYO Skirt, REJINA PYO Bucket bag, Rosetta Getty Slides, Leigh Miller Earrings.